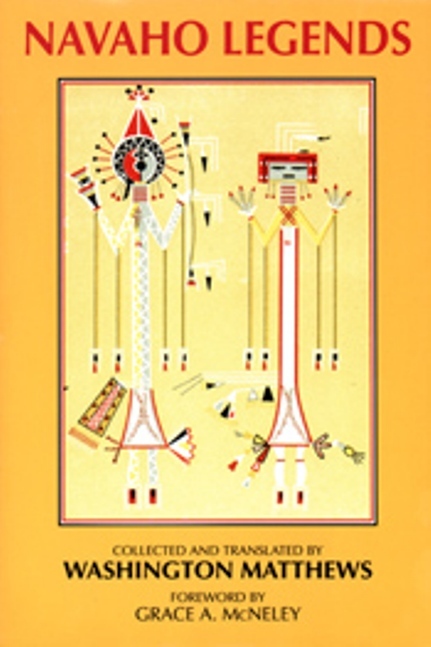 Navaho Legends is one of the earliest collections of Navajo oral traditions in English, and still the best. Originally published in 1897, Washington Matthews’s sensitive translation contains extensive versions of the Original Legend and two other tales. These richly detailed legends remain among the most complete sources of Navajo cultural, ritual, and ceremonial information. This edition is fully faithful to the original, containing Matthews’s introduction, extensive notes, interlinear prayer translations, musical notations, and index, plus a new note on orthography by Robert Young. Washington Matthews (1843-1905), U.S. Army Major and Surgeon, was based in the Southwest for a number of years. Conversant in Navajo, he was one of the earliest recorders of Navajo culture. Grace McNeley was born and raised in Shiprock, New Mexico.